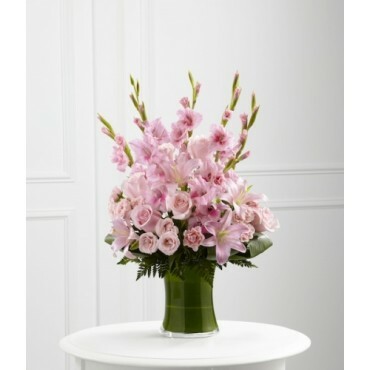 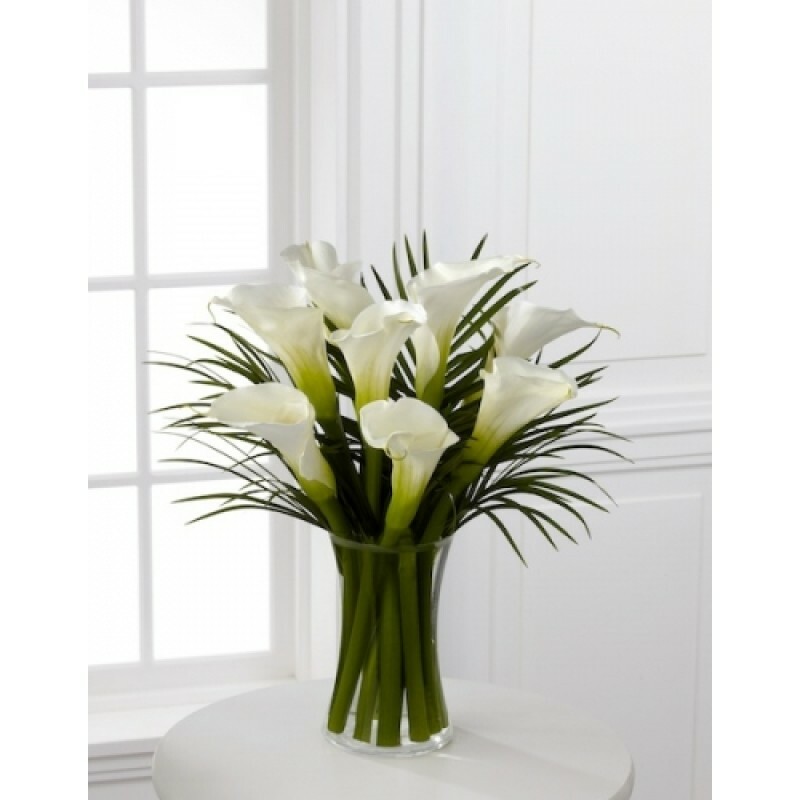 Arrangement of gladiolus, roses, lilies and an assortment of lush greens. 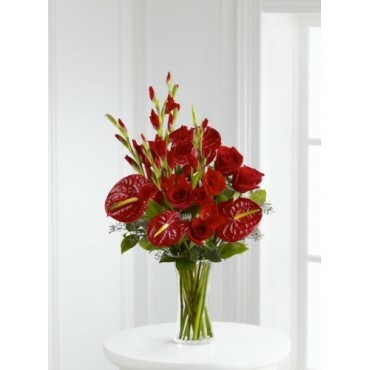 (Original shown: 27"H x 17..
Rich red roses, gladiolus and anthurium, offset by greens in a clear glass vase. (Original shown: 2..